An elegantly rustic tart with slices of strawberries marinated in a honey balsamic sauce with a simple butter crust. 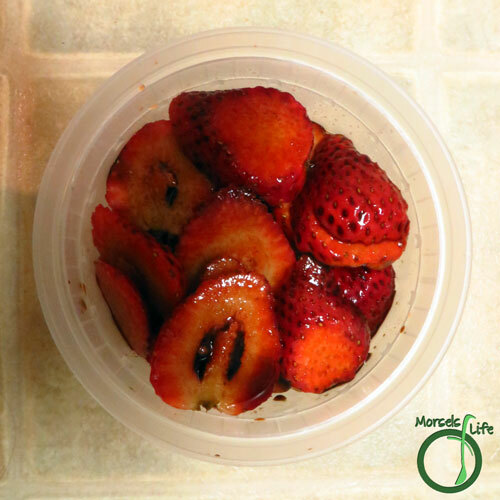 We'd gotten a plethora of strawberries recently, and we'd been eating them straight out of the containers. While we have no complaints eating fresh, sweet strawberries, variety's nice too! Thinking back, I remembered the Pears with Toasted Walnuts. Then, as the cosmic forces aligned, I saw this recipe from Honey & Jam. 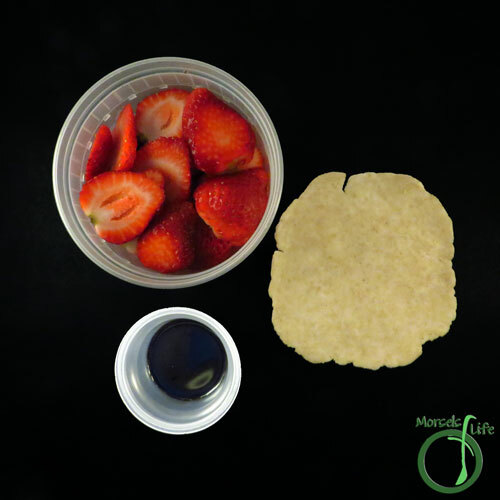 With this cosmic alignment, I just had to feature the Honey Balsamic Strawberry Galette on Five Friday Finds. What's your favorite way to eat strawberries? Combine all filling materials and allow them to mix and mingle while you roll out the crust. Strain the strawberries, and reserve the liquid. 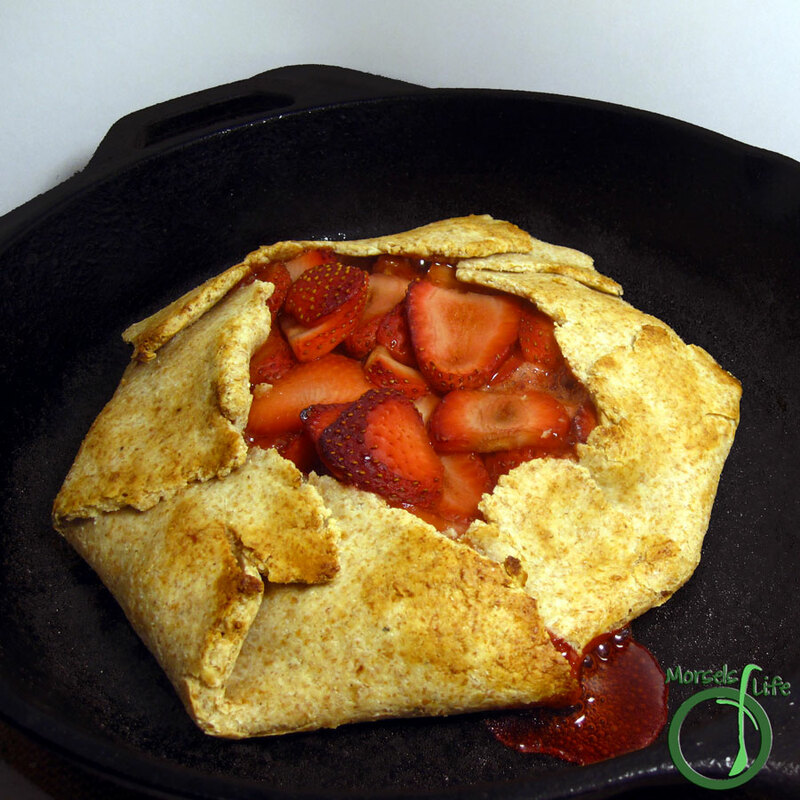 Place strawberries in the center of each piece of dough and fold the edges over. Repeat for each galette you make. Bake at 400F for about 45 minutes. (optional) While baking, reduce the liquid strained from the strawberries. Top finished galettes with some freshly ground pepper and reduction. 2. Combine all filling materials and allow them to mix and mingle while you roll out the crust. Strain the strawberries, and reserve the liquid. 3. 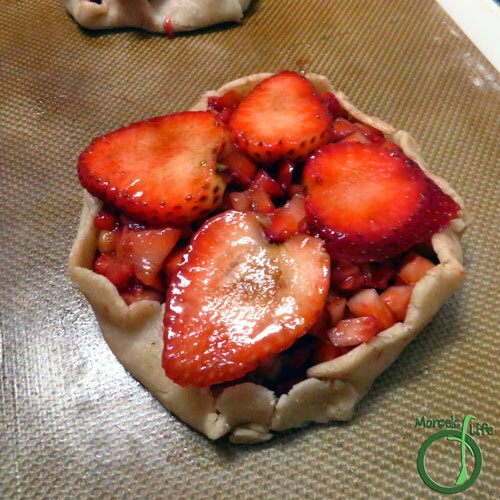 Place strawberries in the center of each piece of dough and fold the edges over. Repeat for each galette you make. Bake at 400F for about 45 minutes. 4. (optional) While baking, reduce the liquid strained from the strawberries. Top finished galettes with some freshly ground pepper and reduction. This looks delicious! You always have such unique ways of presenting food :). Thanks for sharing at Must Try Monday. Sounds wonderful... I like the changes you made to the crust recipe and... anyone who uses the word "plethora" is someone I could be friends with! That's so simple, yet pretty! I <3 strawberry season!